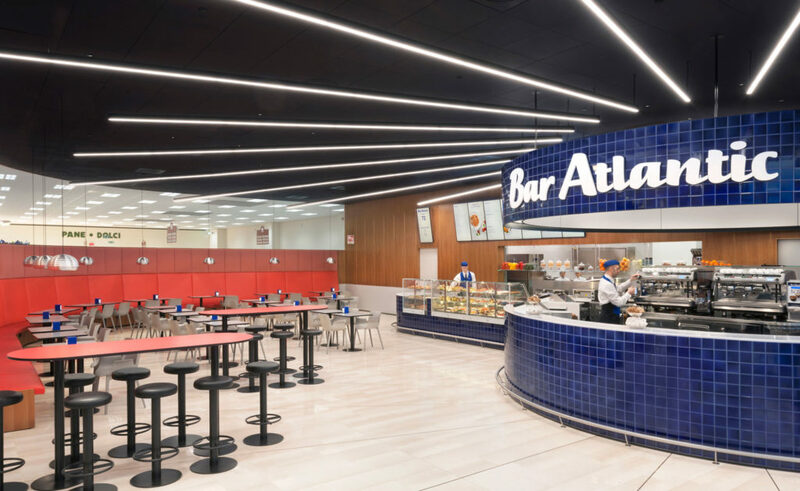 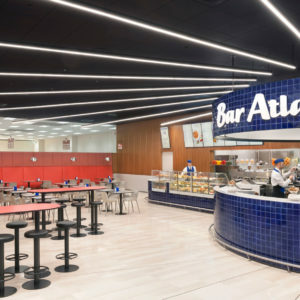 Brief: ARD was commissioned by Esselunga, an established chain of Italian supermarkets, to re-design and increase the efficiency of Bar Atlantic; a bar and restaurant located within their stores. 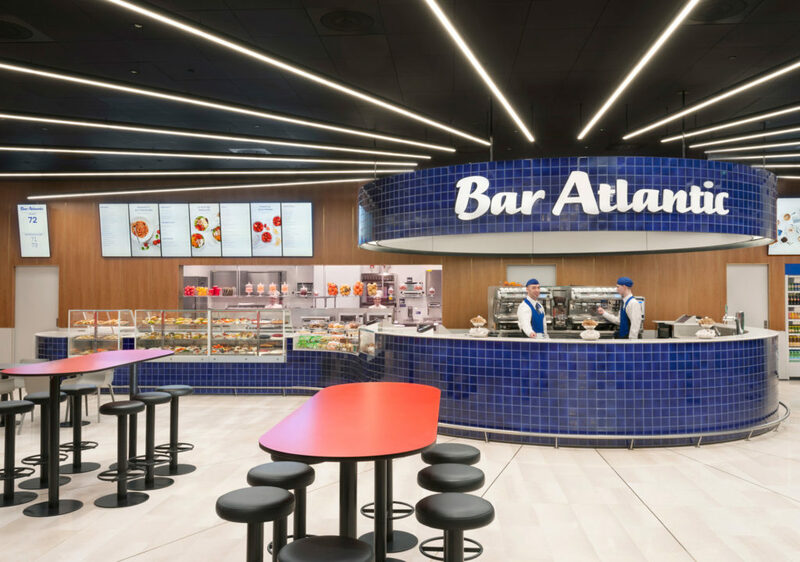 Our brief included looking at ways to strengthen their brand identity and improve the customer experience. 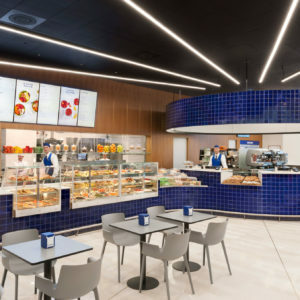 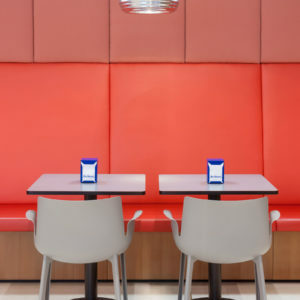 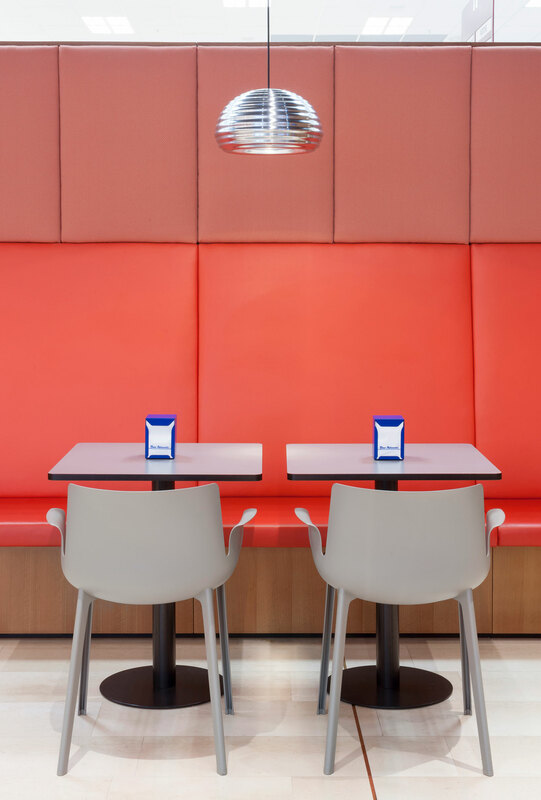 Inspired by Esselunga’s core values, we looked to design a space that celebrates ‘‘slow food’ served fast,’ supporting their brand philosophy of fresh, sustainable, high-quality food prepared with care and to maximize the customer experience through innovative design while maintaining operational logistics and cost efficiency. 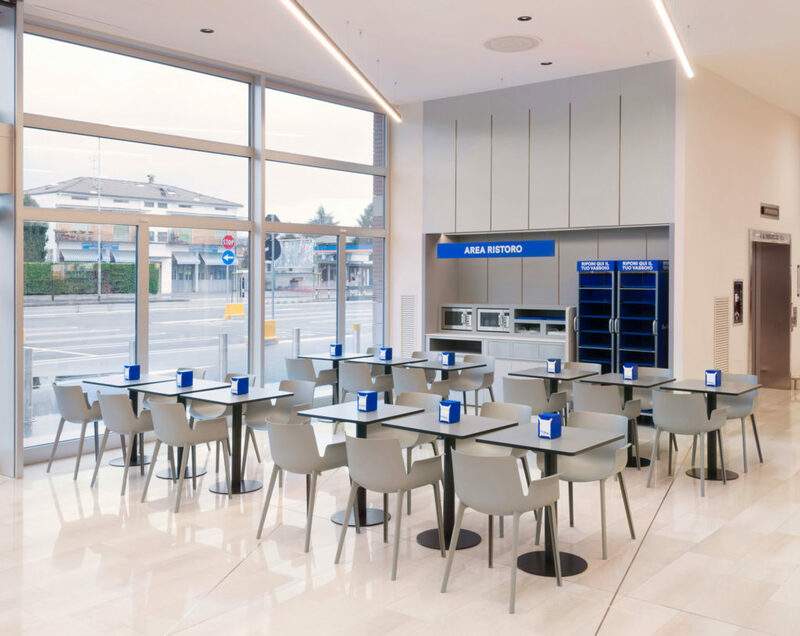 Our design focused on sustainable, locally sourced materials and crafts – marble from Carrara, tables in Abet Laminati (produced in Piemonte) and Italian Walnut, all of which are of exceptional quality, beauty and value for money. 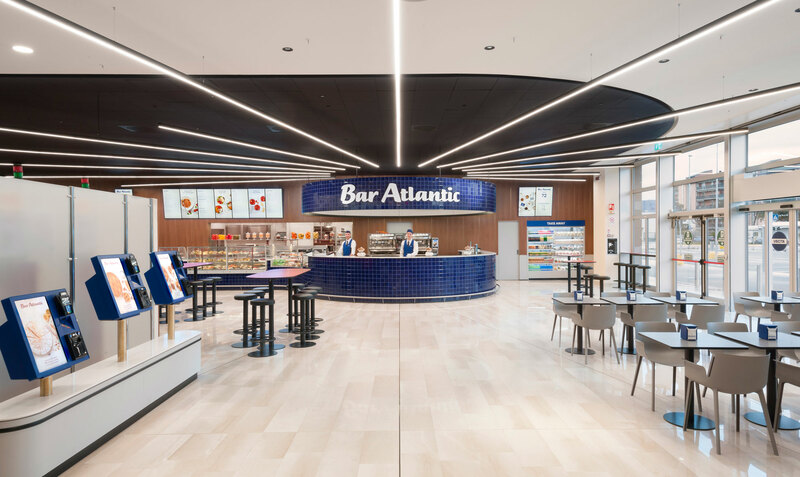 We divided the bar/restaurant environment into four different zones – each of which have different durations of stay attached to them – standing and eating, sitting and eating, grabbing and going, or drinking at the bar. This division of the space empowers the customer by providing everything they need, while supporting staff in making their job as efficient as possible. 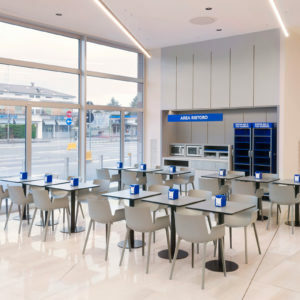 We introduced a varied landscape of high tables and low, relaxed banquet seating, the different furniture elements holding dialogue with each other to create a harmonious environment while supporting the different customer needs necessitated by the space. 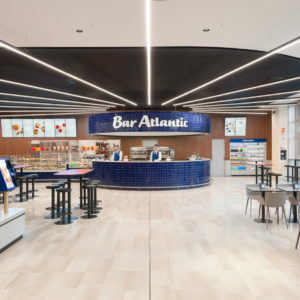 To further support operational demands on the space we created a hyper-efficient payment system that refines the customers’ journey, utilizing future facing technology to improve their experience. 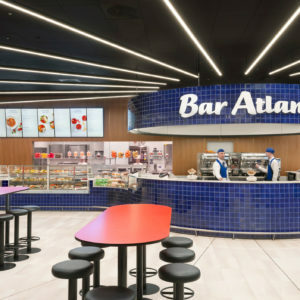 The system is composed of individual tills fulfilling different functions: a computerised kiosk that removes the need for human contact when buying your lunch, a grab-and-go section that appeals to those in a rush and manually operated tills (separate tills for the kitchen and bar) for when you want the personal touch. 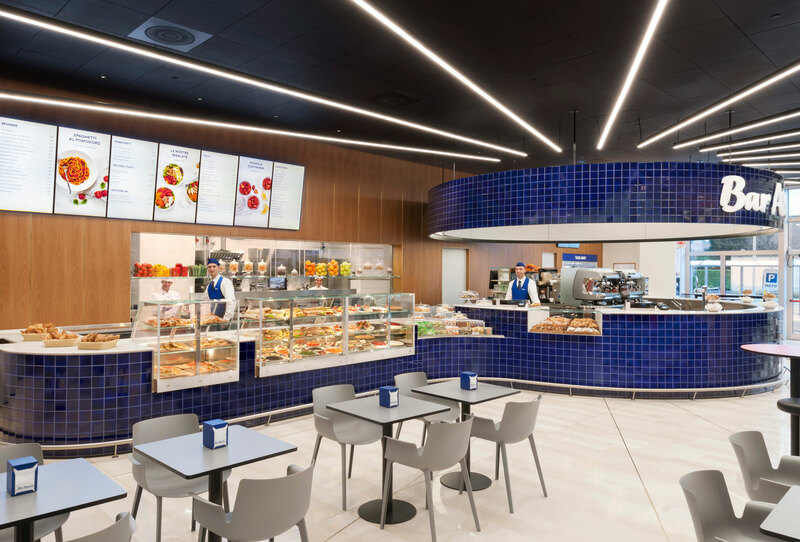 This design refresh is now being rolled out across all the Esselunga stores in Italy (new and existing) and is currently being implemented in 5 different sites.